We’ve been forecasting a wave of business sales to hit the market as Baby Boomers move to retirement for some time now – and now it’s here. The market has never been hotter with the business sales breaking records, quarter after quarter. Baby Boomer retirements and a strong economy with rising business revenues have been driving up sale prices and the number of closed transactions. The BizBuySell insight reports for the second quarter of 2018 included a record number of small businesses sold. Closed transactions reported totaled 2,705, again breaking the previous record set in the first quarter of this year of 2,678. 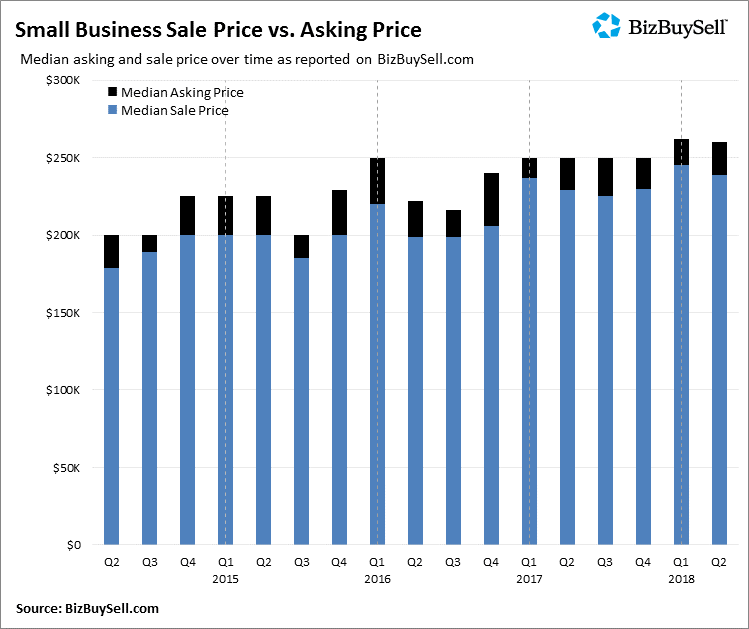 Median business revenues also hit a new high and final sale prices, as well as asking prices, are up for the year. The median revenue of companies sold increased to a new highs for the first and second quarter of 2018. 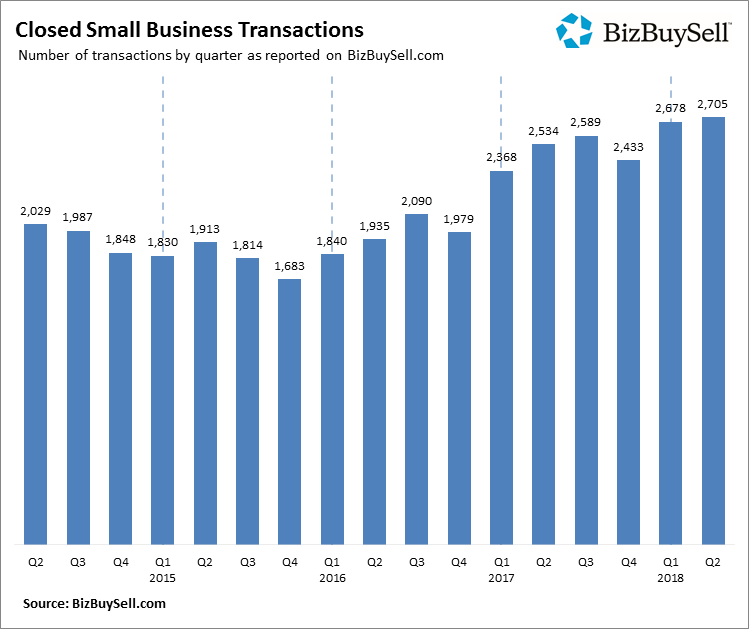 Strong upward trend of business sales, 2017 was a record-breaking year since BizBuySell started tracking data in 2007. This trend is expected to continue as Baby Boomers continue to shift into retirement. 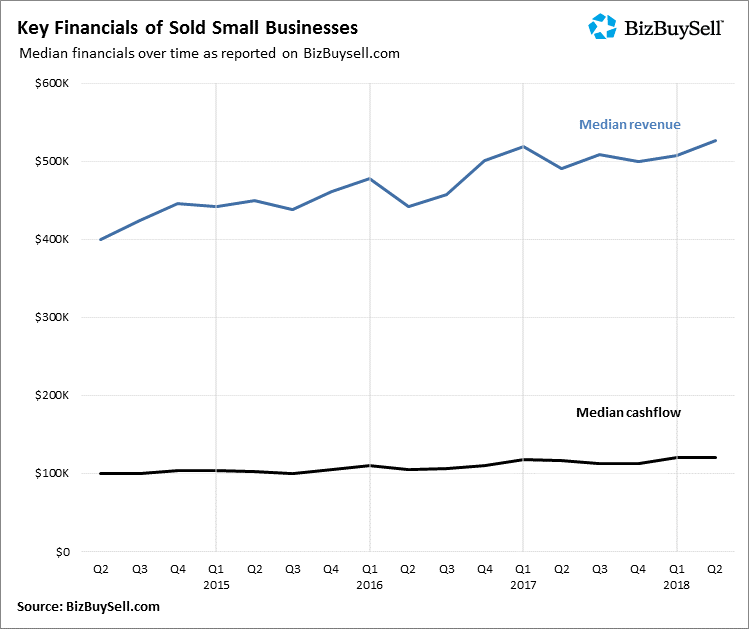 Median business revenues are up 7.4% from the previous quarter, while median cash flow increased 3.4%.